The hide-and-seek game is over. 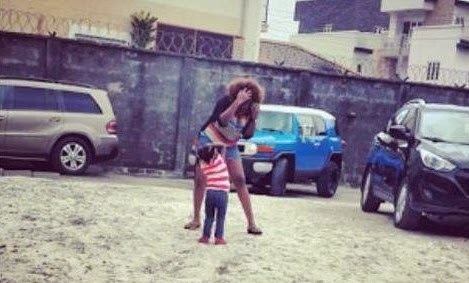 Singer Omawumi has released a photo of she and her daughter, whose father she has refused to disclosed, at least not clearly yet. She and her baby were dancing to her song. Cute!